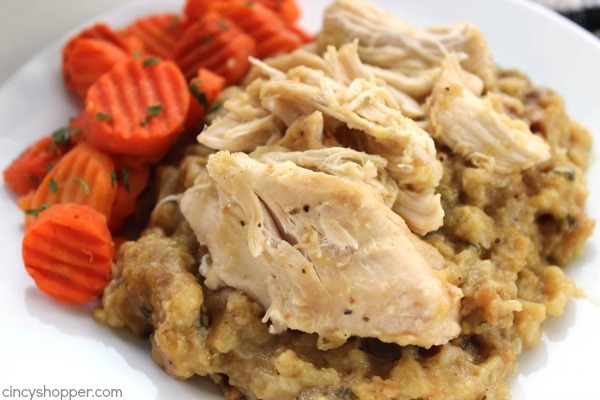 I made this super Easy Slow Cooker Chicken and Stuffing this weekend and I think it may just be my families favorite Crock-Pot meal yet. 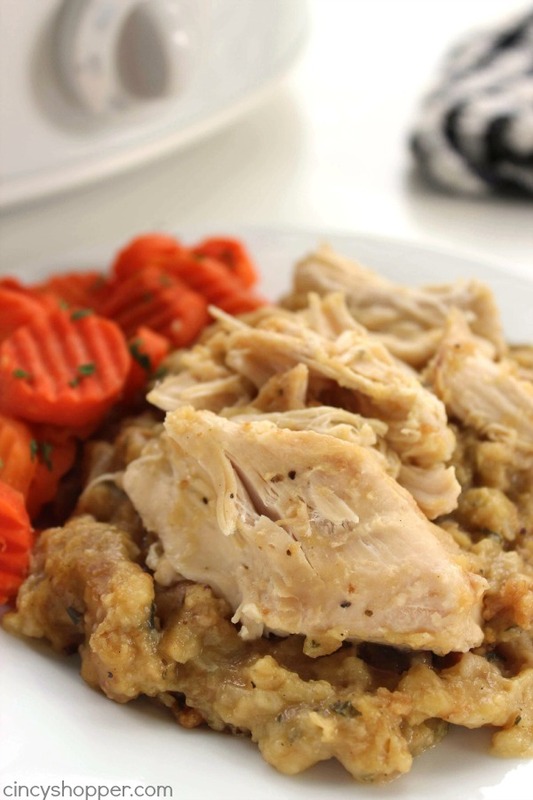 With just a couple chicken breasts and some Stove Top stuffing, we have a comfort meal that is so super easy. 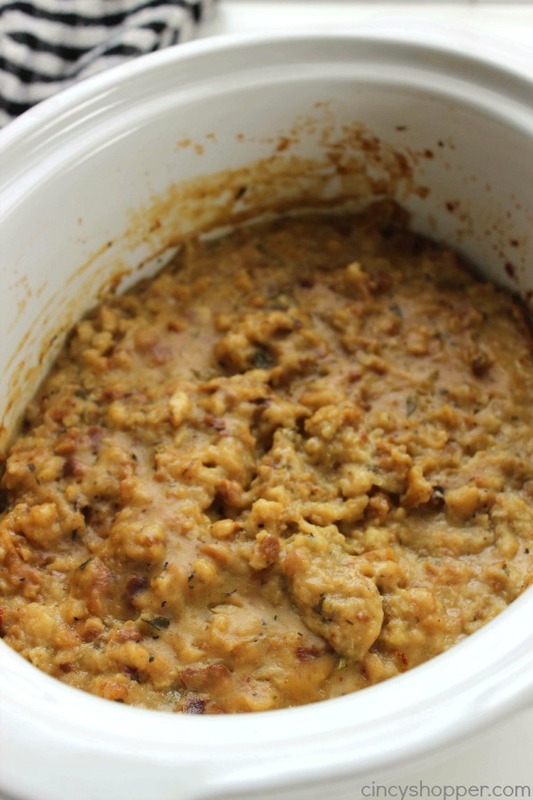 Crock-Pot meals are my favorite meals during the fall and winter. 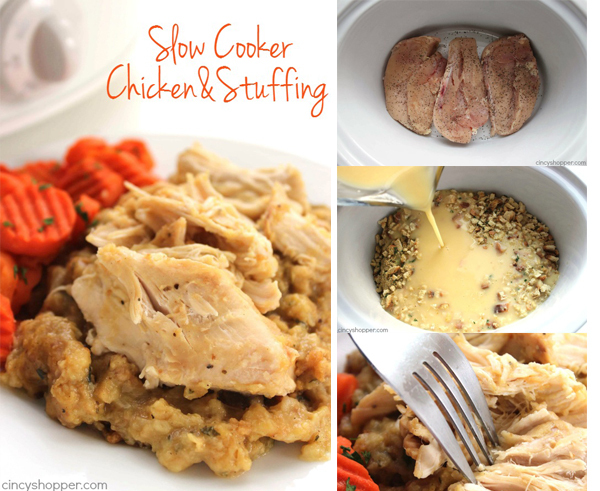 I can toss everything in the slow cooker and have a meal ready early on school days. 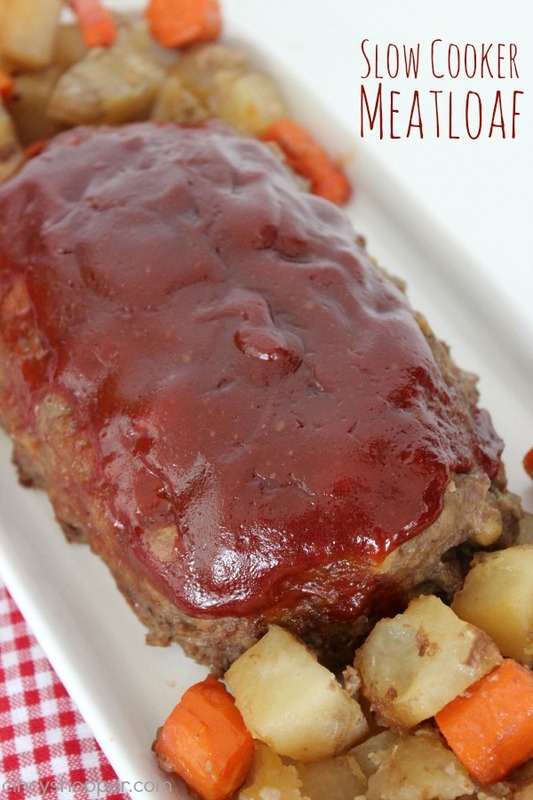 Slow Cooker Meat Loaf is a favorite this time of year but since the price of ground beef has been inching up and up, I have been making more chicken dishes. 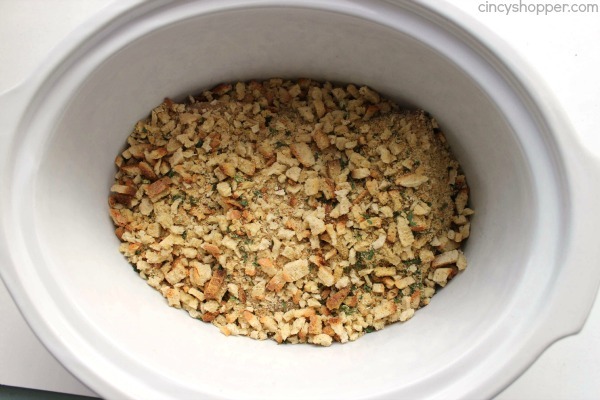 Thanksgiving dinners are always comforting and this Crock-Pot Chicken and stuffing reminds me of dinner on the Thanksgiving holiday. This meal is so super simple. 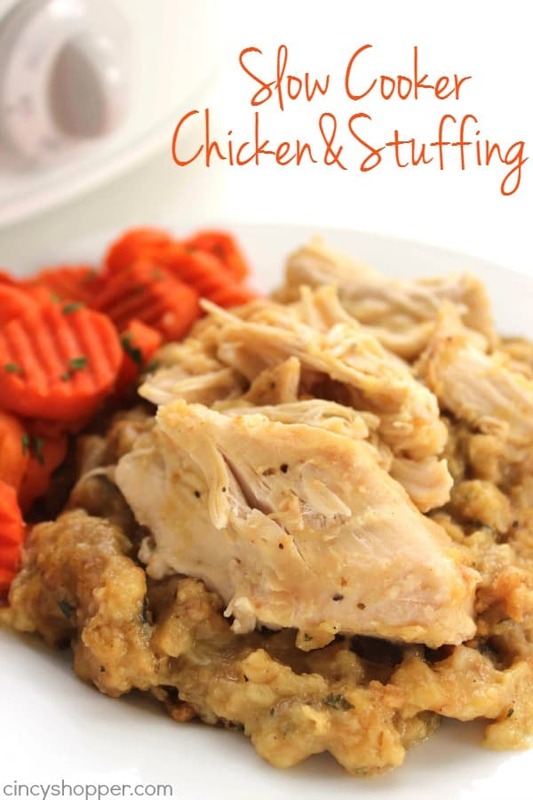 I have been able to score boneless chicken breasts for $1.99 per pound and this meal can stretch the chicken since I combine it with stuffing and a veggie. I used three chicken breasts, two boxes of Stove Top Stuffing, 2 cans of chicken broth, and 2 cans of cream of chicken soup. You could even cut this recipe in half for a smaller family. The larger chicken breasts cook well and can stretch far when serving with stuffing and veggies. 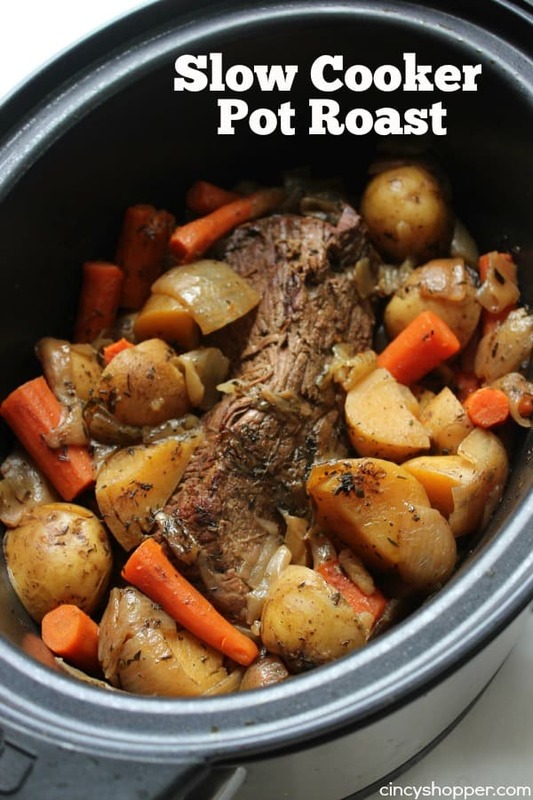 The recipe is super simple and is so comforting for the cold months. Sprinkle stuffing mix over the top of the chicken. 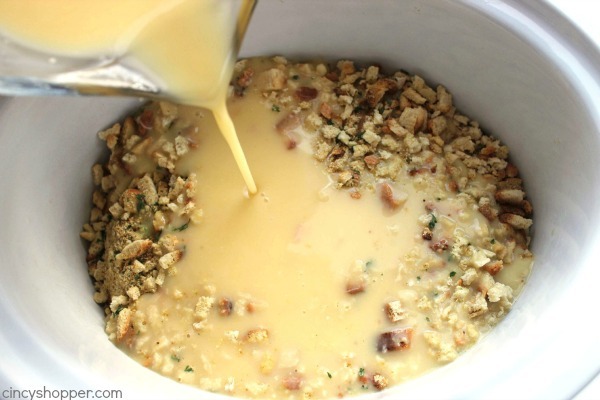 Whisk together soup and broth until blended and pour evenly over dry stuffing. 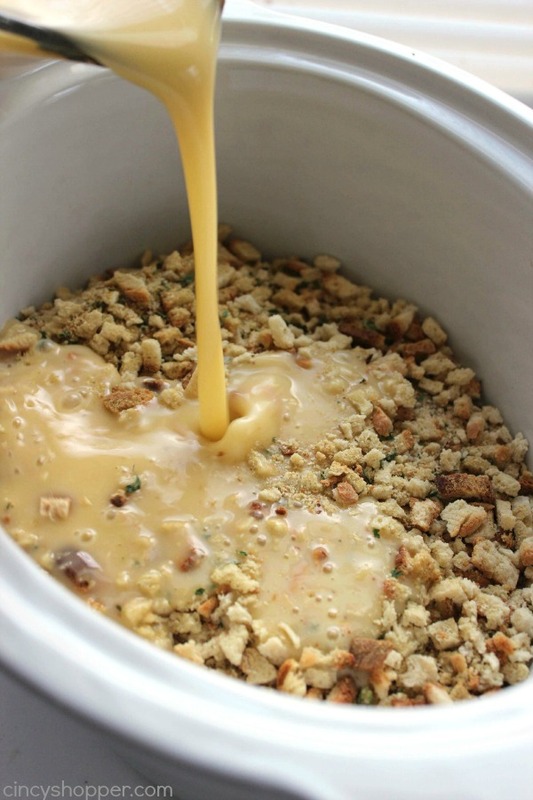 Do you have a favorite Crock-Pot comfort food recipe you make during the cold months? This one is definitely being added to our every other week dinner rotation. Hmm, I will have to see if my son likes stuffing again. Definitely looks good to me. Thanks for sharing on the #HomeMattersParty this week. I hope you join us next week. This was great! I loved it. 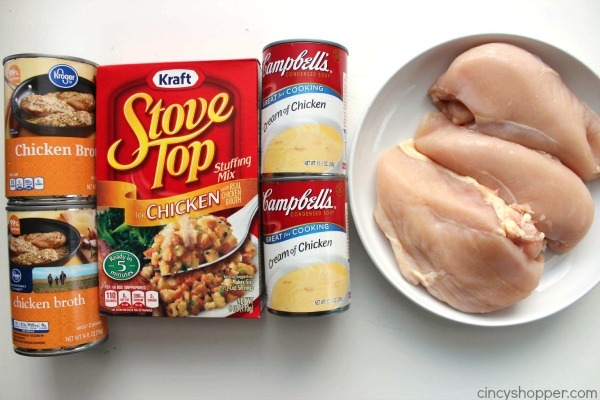 Used two boxes stuffing and family size cream chicken soup and a box of broth. I didn’t add the whole box of broth at once because I didn’t want it soupy so I added periodically as it cooked. That worked great. I just love your east recipes, its just me and my husband and alot of times our grandsons. Your recipes are always a hit even with my picky husband !!! 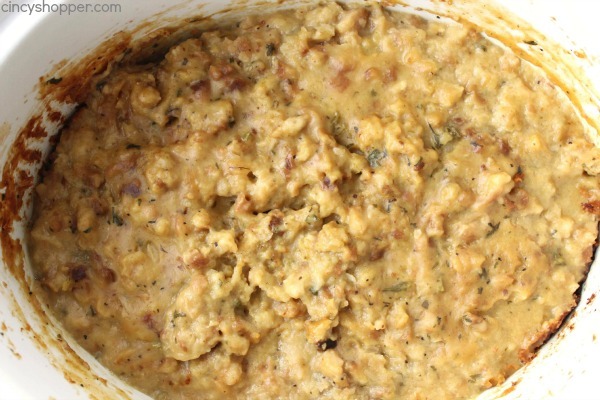 This was a major fail for me, came out soupy rather than like chicken and stuffing. Maybe with just one can each of cream of chicken and broth it might work, but this turned out more like soup. Me too major fail ugh!!!! Can this be done with frozen chicken? If so would the cooking times be different? For the broth, is it 2-14oz cans for 28oz total or just 14oz broth? Did you add one or two 14oz cans? Two 7-ounce cans, for 14 total ounces. Mine turned out runny too. Next time I’ll follow the instructions on the stuffing box. Has anyone added celery and onions? I think the reason some find it too soupy is because the recipe calls for TWO boxes of stuffing, not just one as is pictured. Mine turned out perfect! Used 2 boxes of stuffing and 2 cans of soup! So yummy! Just wondering if you can freeze! 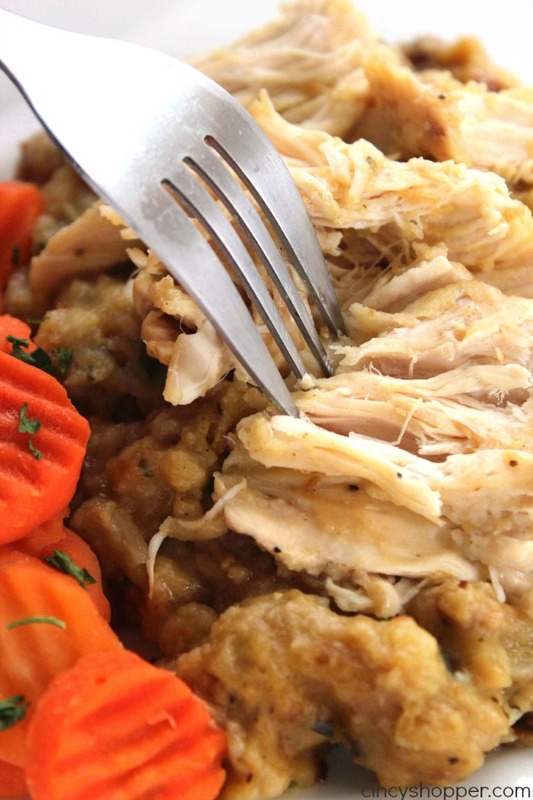 I’ve frozen many a chicken and soup recipes before, and they turn out good after. Tried this tonight. Good, but the dressing had dry spots in it. Next time will combine before I put it into the pot. Mine was amazing! Really good. I am having trouble getting the calorie/nutrient info for my Fitbit though. Would be nice if included. Thank you for sharing. A definite hit at our house. Excellent meal! If yours came out soupy it’s because you didn’t use 2 boxes of stuffing like the recipe says. The post says to use 2 cans of broth, but the recipe says to use one. I cut the recipe in half and my stuffing was rather mushy. I used low salt items and it did taste good. 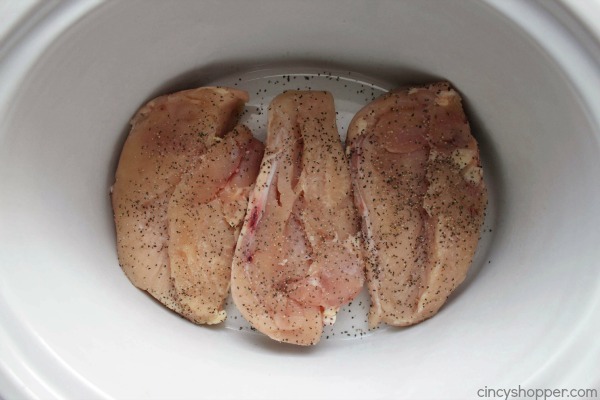 Like my family’s Easy Chicken but in a crockpot. Worked great, even easier. I added 2 ingredients: Swiss cheese on chicken and white wine in sauce. Great go to plus leftovers. 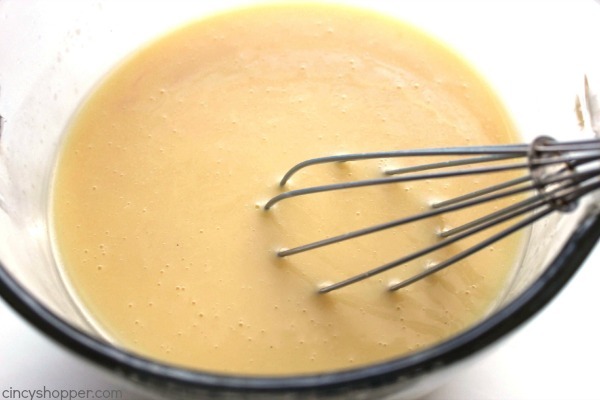 The reason some of the people had “soupy” dressing, is because in the 4th paragraph, it states to use 2 cans of cream of chicken soup & 2 cans of chicken broth. Then in the recipe, it states to use 1 can of broth. If this is done 4 hours before ready to eat would you keep it on warm setting or shut it off all the way? Hi Marge! I would just keep it on warm. Hope that helps. I made this using 1 pkg cubed stuffing, Pepperidge Farm 2 cans cream of chicken soup 10 oz cans and 1- 14 oz can chicken broth. Turned out Perfect!! Anyone ever tried this in the oven? If so how long and what temperature? ?